Mick Fischer left his pack for a new start in Alphaville after an unforgivable betrayal and the loss of his mate. Now he leads a quite life in a secluded cabin, only acknowledging his grief and rage through his work as a writer and artist. When an injured red wolf hunted by coyotes ends up in his yard though, Mick knows his self-imposed solitude has come to an end. Could Renny be the reason that he didn't die alongside his mate? Renny Landry can only turn down the odious coyote alpha of her home town so many times before she realizes that he's not going to accept no as an answer. Her only option left is to run, but no matter where she goes his goons find her. Alphaville might be Renny's last chance at freedom, but could it also be her one chance of love? To be honest, I first passed over Baby, I'm Howling for You on NetGalley due to the trite title, but after being sent a request from the publicist, I decided to give it a try and am happy that I did. 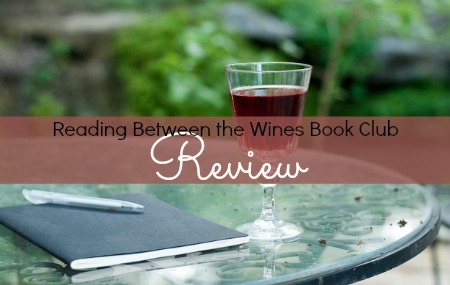 While the story itself wasn't singular, it incorporated all of the classic paranormal romance elements that I relish in this genre, despite some hitches in the writing and flow of the book. There were many aspects to this story that I enjoyed, while there were also several that I did not. This is my first reading experience from author, Christine Warren, though I have heard many good things about her and her works. The setting itself kept me hooked, the idea of Alphaville being a refuge for shifters was compelling. I also enjoyed the characters, especially the secondary ones which I found to be intriguing and entertaining throughout the story. However, I found the writing here to be overly descriptive with redundant monologues. 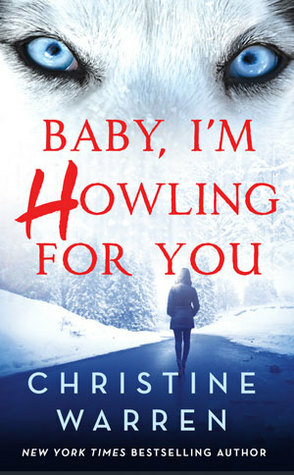 I'm not sure if this is because Baby, I'm Howling for You is the first in a series (although after reading, I did see that there is a prequel that has released) or that is just the authors writing style. As for the main characters; Renny is more on the submissive side for PNR heroines, but she does have her moments and I appreciated her constant positivity. Mick's alphaness tended to fall to the wayside, but I liked his willingness to allow Renny her independence, even with his wolfy instincts. Multitude of misunderstandings and willful ignorance between these two keep the story going, but also dragged down the plot quite a bit. The whole story fluctuated often! I did enjoy the fact that despite their mating, there wasn't instant love between the pair. They didn't even like each other at first, and then it was a charming dance of give and take until a solid connection bloomed. All in all, Baby, I'm Howling for You is decent start to a new paranormal romance series that I think fans of the genre will enjoy. I'm interested to read more about the other inhabitants of Alphaville and of course, their reasons for escaping to this shifter sanctuary.